Ahead of its historic Telethon, The United Nations has endorsed Generational Voices (GenVoices), the project-driven platform to harness the offline and online energy of young Nigerians for practical efforts towards nation building. 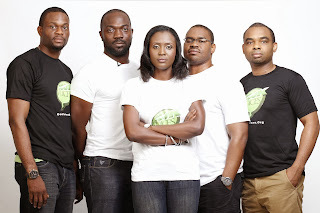 The Telethon will be hosted on Saturday, 18 January 2013 and broadcast on Channels Television to over 10 million Nigerians from 10am-1pm, where GenVoices will lay out its charter for this generation of Nigerians who are ready to lead and serve. 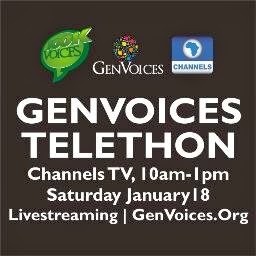 Through the GenVoices Telethon; young people will convene offline and online in and outside Nigeria to collectively pledge to participate in building the Nigeria we all desire and deserve. UN Secretary General’s Special Advisor on the Post-2015 Development Planning, Amina Mohammed, expressed her excitement about the movement in a goodwill message sent from the United Nations in New York. “I received with considerable excitement the news that a large group of young Nigerians under the movement called GenVoices have come together to inspire hope in the Nigerian dream and nurture a new breed of young leaders in Nigeria,” she said. “I’d like to congratulate Generation Voices for organising this important event, as well as your ongoing efforts to promote youth political engagement in Nigeria,” said Ahmad Alhendawi, the UN Secretary General’s Envoy on Youth. He went on to mention that he is a personal fan of the GenVoices’ Facebook page.